Jennifer Noya practices primarily in insurance coverage defense, employment law, professional liability, civil rights, class action and complex litigation. She has defended a wide variety of cases, including defense of insurers in class action litigation involving both life insurance and auto coverage. She has represented defendants in professional liability cases, civil rights class litigation and represents employers in employment-related disputes arising under state and federal law, as well as administrative proceedings. Jennifer has tried cases in both state and federal district courts, and has briefed cases before the New Mexico Supreme Court, the New Mexico Court of Appeals, and the Tenth Circuit Court of Appeals. 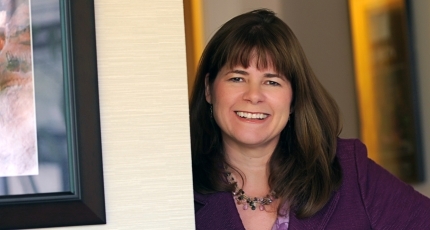 Named “Lawyer of the Year in Insurance – Albuquerque” in 2012 by Best Lawyers of America®, Jennifer has been selected among the Top 25 New Mexico Super Lawyers for four consecutive years, from 2015 through 2018. Clients seek Jennifer’s advice in a wide variety of insurance defense matters including the representation of insurers in class action litigation involving both life insurance and auto coverage, defense of insurers, agents and brokers against first-party and third-party claims of bad faith, New Mexico statutory claims, and professional negligence claims. She has extensive experience in litigating insurance coverage and in counseling insurers on coverage issues arising out of many different types of insurance policies. Jennifer’s employment law practice includes state and federal court litigation representing management in the defense of alleging violations of employment discrimination statutes, contracts, or various common-law employment rights. She has litigated disputes under Title VII, the Age Discrimination in Employment Act, the Americans with Disabilities Act, Equal Pay Act, and other various statutory and common-law claims. She regularly represents employers before the Equal Employment Opportunity Commission, the Human Rights Division of the New Mexico Department of Labor, the Office of Federal Contract Compliance and other state and federal agencies, as well as in administrative matters including discrimination and harassment charges and wage and hour complaints. Jennifer’s professional liability practice includes the defense of licensed professionals including lawyers. Her clients often come to her with problems prior to the filing of a lawsuit. She works with these licensed individuals to manage these problems early in an attempt to avoid litigation where possible. If litigation results, she provides an aggressive defense. She has handled professional liability matters before licensing authorities and at the trial level. Jennifer has experience in civil rights defense. She has litigated constitutional law issues, such as freedom of speech, freedom of association, and alleged violations of due process and has successfully defended class claims of civil rights violations brought by inmates involving prison conditions as well as class claims brought against private property owners. Jennifer Noya joined Modrall Sperling upon graduation from law school and is a member of Modrall Sperling’s Litigation Practice and serves as Chair of the Insurance Service Group. Defense of bank against purported class allegations involving foreclosure expenses, Francouer v. Charter Bank, 2016 U.S. App. Lexis 5333 (10th Cir. 2016). Dense of insurer in purported class involving rejection of uninsured motorist coverage, Soseeah v. Sentry Ins. Co., 808 F.3d 800 (10th Cir. 2015). Defense of municipality in Section 1983 excessive force case involving fatality, Tellez v. City of Belen, 2014 U.S. App. Lexis 9303 (10th Cir. 2014). Defense of Medicaid provider in case involving class claiming improper pharmaceutical reimbursements Starko v. H.S.D, 2014-NMSC-033, 333 P.3d 947. Summary judgment granted to employer on discrimination claims, Villanueva v. Walgreen Co, United States District Court for the district of New Mexico, 1:10-CV-01121-BB/WPL. Defense of employer against retaliation claims and claim that all disputes must be arbitrated, Drucker v. First National Bank of Santa Fe, 2009 N.M. App. Lexis 80. Defense of insurer against claim of entitlement to uninsured motorist coverage under business automobile policy, Allstate Indem. Co. v. Gonzales, 582 F. Supp. 2d 1339 (D. N.M. 2008). Defense of insurer in discovery dispute regarding confidentiality claim, Pincheira v. Allstate Ins. Co., 2008-NMSC-042, 188 P.3d 1156. Defense of insurer in claim involving duty to defend lessor of vehicle involved in accident that occurred during repossession from lessee, Allstate Ins. Co. v. Ford Motor Credit Co., 2007 U.S. App. Lexis 13129 (10th Cir. 2007). Defense of computer chip manufacturer in claim involving industrial accident, Farris v. Intel Corp., 2007 U.S. Dist. Lexis 50761 (D. N.M. 2007). Defense of automobile insurer in purported class involving uninsured motorist coverage, Nguyen v. Interinsurance Exchange; Second Judicial District Court, State of New Mexico. Defense of insurer against claim for payment of uninsured motorist coverage under corporate commercial automobile policy, Rehders v. Allstate Ins. Co., 2006-NMCA-058, 135 P.3d 237. Defense against challenge to insurance policy consensual arbitration clause in New Mexico Supreme Court, McMillan v. Allstate Indemnity Company, 2004-NMSC-2. Defense of insurer in purported class involving claims that insurer failed to disclose fully the additional cost of paying insurance premiums monthly rather than annually, Smoot v. Physicians Life Ins. Co., 2004-NMCA-027, 87 P.3d 545. 265. Defended arbitrator’s finding of no coverage for groundwater pollution in insurance policy in New Mexico Court of Appeals, Eagle Laundry v. Fireman’s Fund Ins. Co., 2002 NMCA 56; 46 P.3d 1276. Defense of insurer against claim involving stacking of uninsured motorist coverage under personal automobile insurance policy, Allstate Ins. Co. v. Indep. Appliance & Refrigeration Serv., 278 F.3d 1102 (10th Cir. 2002).